Have you ever flipped through a Stampin' Up! 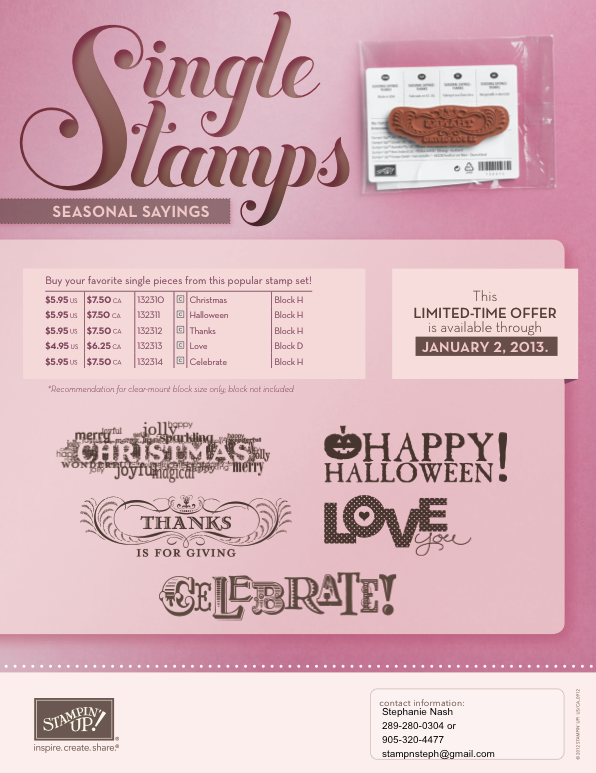 catalog and thought "I only like one or two from that stamp set"? 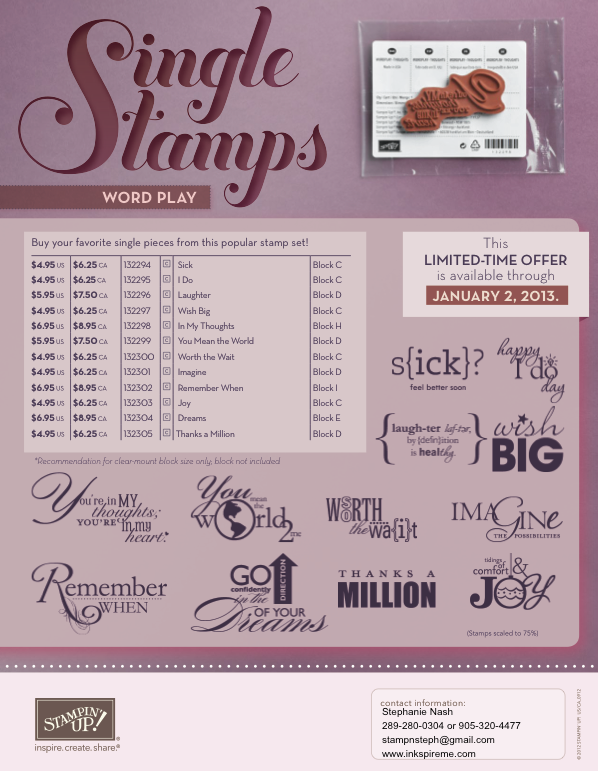 For a limited time, you can purchase individual stamps from three (3) specific sets: Word Play, Perfectly Penned and Seasonal Sayings. This offer is only valid on these selected stamp sets and only until January 2, 2013. 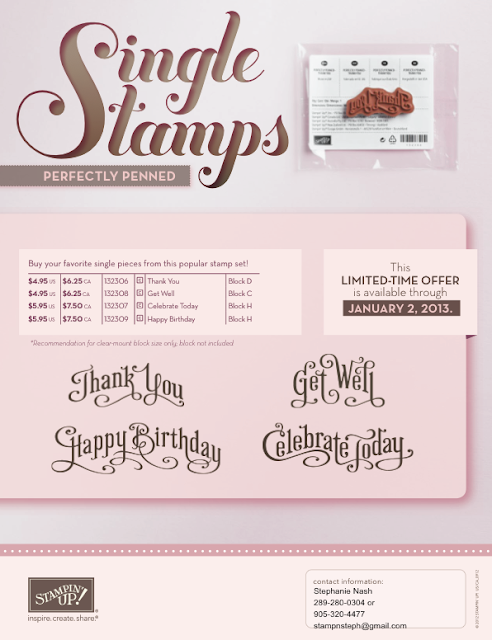 Contact me to order your stamps today!